Cosplay is the new Che t-shirt, we’re calling it now. The horror (courtesy of io9). In Young Money’s currently ubiquitous single Bedrock, current it girl Nicki Minaj has raised several eyebrows with her offer to put her, ahem, coochie on a man’s sideburns. Audacious? Yes. Logistically improbable? To be sure? Original? Well, not exactly. True hip-hop heads know that the real pioneer in improbable cooter/facial hair pairings would be Amil, who offered to put it on a man’s moustache. * And for this, we dedicate Moustache Monday to Amil, because god knows she’s not getting anything else dedicated to her. Hold your head, Amil. * Provided, of course, said man does not rely on a bus pass. Regardless of whether this rumor is true, this represents a loss of innocence for last.fm users. Realistically, anybody who used the service had to know in the back of their mind that sooner or later the RIAA would figure out a way to turn it against people, and when last.fm sold itself to CBS, the writing was on the wall. But now, even if this story turns out not to have legs, a lot of people are going to disable scrobbling on their less-than-legally-acquired albums. The new Jay-Z video’s an eighteen-car pileup of competing interests: it’s a tie-in with Bono’s clothing line AIDS charity-no, it’s a promo for a movie about Biggie Smalls-no, it’s an attempt to sneak Santogold onto Power 106 a la M.I.A. and the “Paper Planes” remix… The most crazy explanation of all is that it’s just trying to drum up some excitement over The Blueprint 3. Either way, Evan Roth’s created a video for Brooklyn Go Hard that’s sure to get talked about, and makes us damn glad we live in the 21st Century. Jay-Z’s reference to Annie in the song reminds us that a decade ago, his sampling a Broadway musical was considered pushing the envelope. Now we’ve got the Garamond font drawing out his video while the uncategorizable Santogold crashes the party and Kanye does whatever he’s doing these days, and no one even blinks. Living in the future’s great sometimes. Not two days after this blog posted Viva La Hova as an example of how to exploit the internet to distribute great music and challenge the industry’s flagging business model, Mad Decent and Paper Route Recordz have raised the stakes. Radiohead’s lucrative “pay-what-you-want” model is starting to attract followers, and the more artists try it, the less it looks like a gimmick and the more it looks like the future of the music industry. There’ll always be a place for artists who give music away for free on the internet, but getting people to actually pay is going to get taken more seriously as a business model. Lil Wayne’s deluge over the last few years only paid off for his label after it sold a lot of physical copies in stores… in other words, Universal still sees the internet as, at best, a loss leader to promote 1998’s industry model. Which is why the ability to get people to pay willingly (and not just out of fear of a lawsuit, or inability to find it on the hype machine) is key. Mad Decent and Paper Route are rewarding those who pay over $5.00 for their new release Fear And Loathing In Hunts Vegas with a higher bitrate and five bonus tracks. This looks like a winning business model, and one that even thick-headed suits like Universal CEO Doug Morris could understand. In a week in which the aforementioned Lil Wayne dropped the much-hyped Dedication 3, which is already being written off as a disappointment, it’s nice to see at least one mixtape deliver the goods. The title refers to the remote burg of Huntsville, Alabama, and the geographical remove from traditional hip-hop hotspots shows. It’s as if people who had never heard hip-hop were handed a rough description of the music on paper and asked to create it sui generis. Hearing the Paper Route roster is like hearing Three 6 Mafia for the first time; in both cases, rappers had to create a scene where none existed, and the fact that neither initially expected their music to reach an audience outside their immediate area lent the music a freedom (not to mention a very loose approach to sampling). Actually, hearing Jhi-Ali take on Underworld’s rave classic “Born Slippy” on album opener “Stuntastic” is the best argument yet for reforming copyright law; it’s more convincing than an essay from Lawrence Lessig or Cory Doctorow (although they’re pretty damn convincing too). The involvement of Mad Decent brings on board some high-profile guests and producers–Diplo, Blaqstarr, and Wale among them–but never threatens to overpower the Huntsville flavor of the tape. The formula’s so straightforward, it’s a miracle it isn’t tried more often: Take a blank slate of a regional scene, rappers with so-bad-they’re-good stage names (Dawggy Bagz and the half-Asian MC Jackie Chain), innovative (and brazen) use of sampling, a forward-thinking business and distribution model, and an assist from well-connected Mid-Atlantic bloggers and DJs. Mick Boogie and Terry Urban’s Viva La Hova represents everything this blog stands for: free music on the internet, a Creative Commons-esque approach to remix culture (in other words, the willingness to face down a $10 million lawsuit like Danger Mouse), and a love of digging into interesting failures. Failures? Sure, they might have tens of millions of records sold between, them, but Jay-Z and Coldplay both have some flops in their recent history. American Gangster‘s undone some of the damage from the outright disaster that was Kingdom Come, but calling his next album Blueprint 3 reeks of desperation (as well as trying to catch up with Lil Wayne in the franchise department). Coldplay, in addition to becoming something of a punchline (perphaps even unfairly1) is still seeing the law of diminishing returns, with each album since the one with “Clocks” on it being treated like the tepid rewrite that it is. Thus, it’s nice to see a mashup album that doesn’t shy away from redeeming these failures. 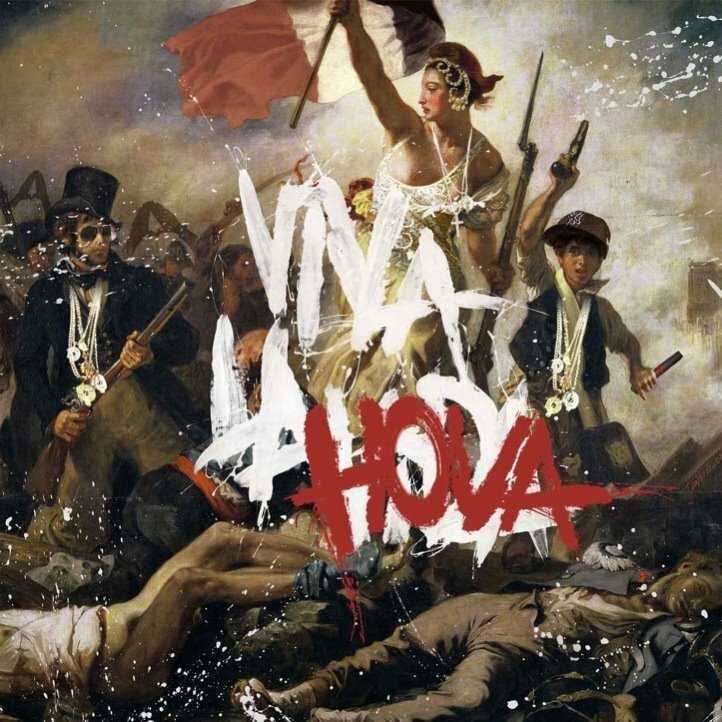 Viva La Hova works well divorced from any context (the true acid test for a successful mashup), and hearing verses from Kingdom Come and The Blueprint 2 in a fresh context gives them a chance they never stood against the overcooked production on those albums. Not to mention Chris Martin gets to good and truly cement his title as this generation’s Phil Collins. 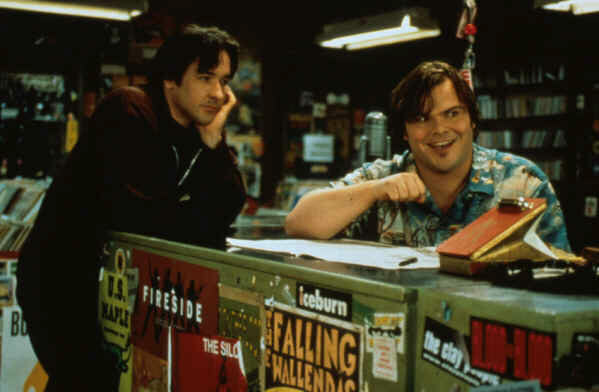 1 And anybody who laughed at the part in 40-Year Old Virgin about knowing a guy was gay because he listened to Coldplay is just trying too hard. As the price of hard drives goes down, and the relative storage capacity increases (Moore’s Law), the unspoken corollary is that the size of information will increase to match it. Even flash-based mp3 players can hold 16 GB these days, and it’s not like the number’s going to go down. Greater broadband speeds and penetration (although the U.S. lags most developed countries–hell, we’re even getting lapped by some places where we wouldn’t even drink the water) are constantly reducing the speed and effort involved in sharing an album. In return, consumers (paying and otherwise) demand higher quality files, usually measured in bitrates. In the glory days of Napster, the thrill of free music was enough to make people overlook the 64kbps rips that cut off in the middle, punctuated by the alert sounds from the ripper’s AIM program. Now, anything less than 192kbps is considered not even worth stealing. When Radiohead gave away In Rainbows last year, they caught hell from audiophiles–and can we imagine a Venn diagram of audiophiles and Radiohead fans?–for encoding it at 160kbps. That’s right, people were complaining about something they were getting for free. VBR and 320kbps rips are fast becoming the standard, expanding in file size to match the increasing capacity to store them. Five years from now, music pirates of the future will probably turn up their noses at 320kbps rips as unlistenable. The Loudness War that’s going in the mastering rooms isn’t helping either, as accompanying the increased bitrate is a command from music engineers to flatten the dynamic range to optimize records for cellphones and tinny computer speakers. And as the first generation to grow up without cassettes comes of age, the classic Maxell tape of the 1980s has achieved an iconic status. For these Millenials, mixtapes are something you download, not buy from the guy at the subway station (although the standards in cover art haven’t improved much). On the indie rock side of the dial, muxtape (R.I.P.) may have replaced mixtapes as the fastest way to a would-be lover’s heart, but High Fidelity types still fetishize the cassette regardless. And as the Millenials age, it’s inevitable that crappy rips will take on a nostalgic element, whether it’s warranted or not. In anticipation of this, Black Ships is presenting the Top 5 Albums That Sound Better At 128kbps. Many considerations went into this list. Recent attempts, like Justice’s Cross, are penalized for intentionally aiming for this effect (it’s also mastered at ear-splitting levels). Hip-hop classics like Straight Outta Compton or It Takes A Nation Of Millions… would seem like logical choices too, but Dr. Dre and the Bomb Squad both took enough care to include a full dynamic range that, even accounting for the JVC boomboxes of the time that they were designed to be listened on, demand to be heard in high quality to be appreciated. No, this list comprises records that, through a combination of nostalgia, bad mastering, and low budgets, really flower at 128kps. Due to his prolific output, the entire career of Bob Pollard (Guided By Voices) is not eligible for this list. After singer Ian Curtis took his own life and the band forged on as New Order, Peter Hook’s basslines grew even more prominent, and the guitar and synth lines explored new textures and tones that accompanied their plunge into rave culture. Before that, though, producer Martin Hammett enabled a punk band’s foray into a dark, lonely place. 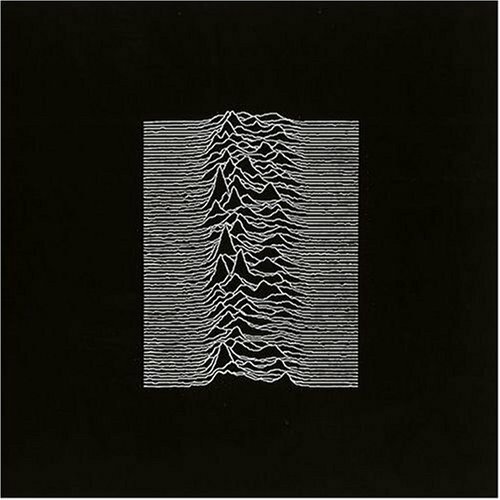 Even before their bleakness reached oppressive levels with Closer, debut album Unknown Pleasures carried a chill about it. From the iconic cover art to the judicious use of synths, everything about this album is a piece of one aesthetic. To listen to it on a great stereo is to add a warmth to it that was never intended. Low bitrates keep the feeling intact, just as God (and Martin Hammett) intended. There’s countless essays that can be written on this album (and producer The RZA’s already written a book on its creation), but one feature of many that made this stand out in 1993 was its violently lo-fi aesthetic. Even by the grittier standards of the time, everything about his record was, well, kind of punk, from the hand-drawn cover art on the “Protect Ya Neck” single, to the damn-near impenetrable inside slang, and especially the music. The drums lurch like a drunk in an alley before periodically attacking the listener. Inspectah Deck’s crack about mountain climbers who play electric guitar notwithstanding, the album does in fact utilize electric guitar stabs placed at random intervals. 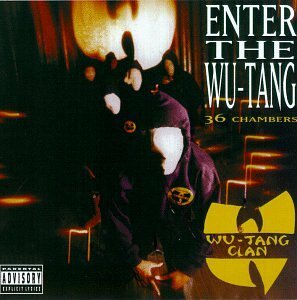 Rumor has it that The RZA ran Method Man’s microphone through a Marshall guitar amplifier to roughen his voice up, and nothing about the album suggests otherwise. Regardless of the financial constraints that might have gone into making this album, everything about the sound feels like an aesthetic choice. With a major-label budget at his disposal, an equally inspired creative foil in Prince Paul, and an apparently inexhaustible supply of free time despite producing three other classic albums that year, The RZA took a left turn with the Gravediggaz project. While the Wu-Tang debut summed up a lifetime of sherm sticks and grindhouse flicks, Gravediggaz was a self-aware attempt to test how exactly how violent a rap record could be. With an almost clinical flair, the participants adopted stage names for the project straight out of the E.C. Comics vault (the Undertaker, the Grym Reaper, the Rzarector, etc.) and invented horrorcore as we know it. While this requires a strong sense of irony (or a superhuman willing suspension of disbelief) to enjoy, real cannibals don’t have access to expensive studio equipment. Thin sound only aids the illusion. 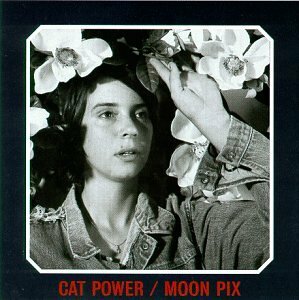 While any of her early (pre-You Are Free) albums would work, Moon Pix is the best of the bunch before Chan Marshall started modeling for Chanel. The Beastie Boys sample on “American Flag” sounds as out of character for her now as it does then. Even as she’s branched out into styles beyond the gauzy folk of her early years, most of her music avoids drums of any kind, never mind the cassette-based backwards sample from “Paul Revere” (here we go again with the cassette nostalgia…). In low sound quality, her spidery guitar lines don’t stand a chance against her voice. Even when she sounds like she’s faltering, or about to give in entirely, her voice overpowers everything in sight. The school of singing that treats it like an Olympic sport has only gained more currency in the last decade, but sometimes the most poweful statement is the one that doesn’t puff its chest out. Truly haunting. By the end of the 1990s, Rap-A-Lot Records had assembled an in-house production team that rivaled that of any label. Not only did it separate Rap-A-Lot from the contenders nipping at its heels, but its unified aesthetic helped define the Texas sound as much as anybody, with the possible exception of Port Arther’s UGK. 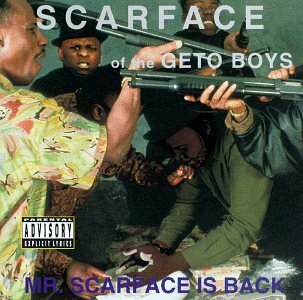 At the start of the decade, though, the book had yet to be written, and Scarface, fresh off the Geto Boys’ breakout success, launched his solo career with Mr. Scarface Is Back, an excellent album, but one that also showed a sound that was a work in progress. The cover art hails from an era before Photoshop (when they build a Southern Rap Hall Of Fame, Pen & Pixel graphics is getting its own wing in recognition of the ludicrous Photoshop jobs it’s performed for album sleeves). Mike Dean and N.O. Joe had yet to crystallize the gumbo-funk sound that would serve as ‘Face’s constant companion. The beats largely lean on the popular sounds of the time: the Bomb Squad is an obvious touchstone, but so is Sir Jinx, who was largely responsible for Ice Cube’s AmeriKKKa’s Most Wanted. 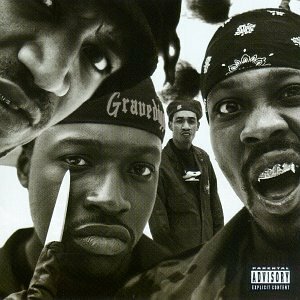 And while glimpses of the hard-edged social commentary that would become Scarface’s trademark poke through, a lot of the album also mines similar territory as the Gravediggaz album would five years later (“Born Killer,” “Murder By Reason of Insanity”). The combination of low-tech mastering (label head J. Prince had only just come over from the used-car business), classic samples thrown at the listener in haphazard fashion and violent lyrics that border on goth (“I’m Dead,” anyone?) give Scarface the top spot on this list. Brad Jordan, come forward and claim your championship belt.